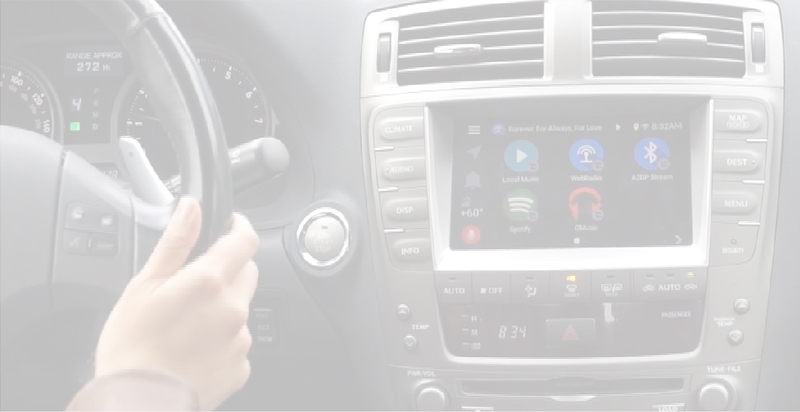 Our latest infotainment system (VLine™) provides full functional control over music, navigation and voice controls without using your phone. 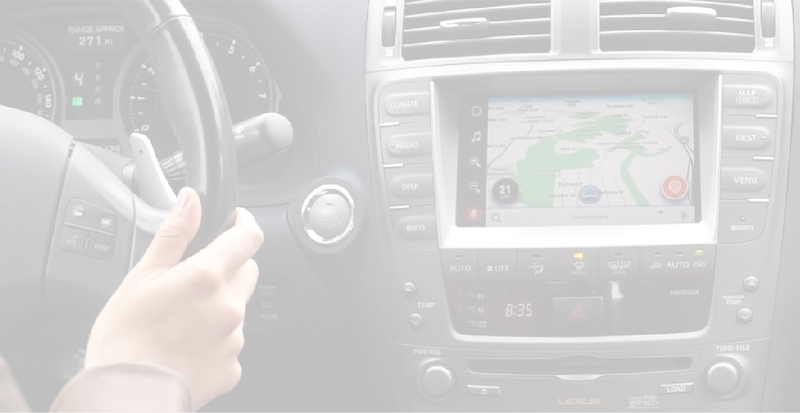 Much like Apple® CarPlay, VLine™ brings you convenience of use at the power of your fingertips through your car stereo. With our DashlinQ technology, you can be sure that your system says up to date and competitive with the latest apps and products out there. 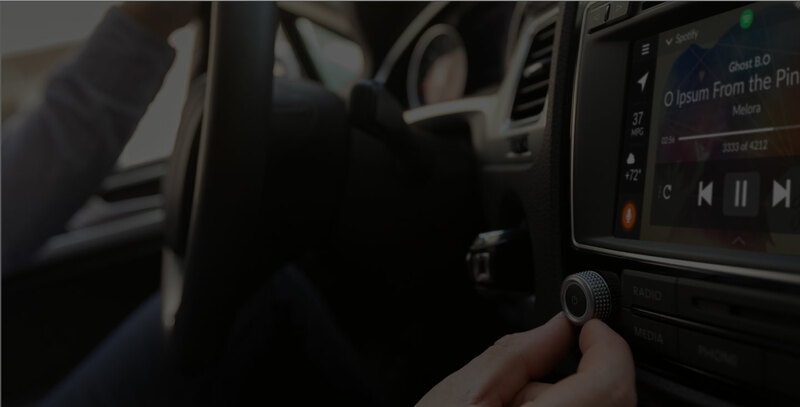 With our built-in music plug-ins (Spotify, Web Radio, Google Music, and Local Music), you have full control of what is being played at the touch of your fingertips. 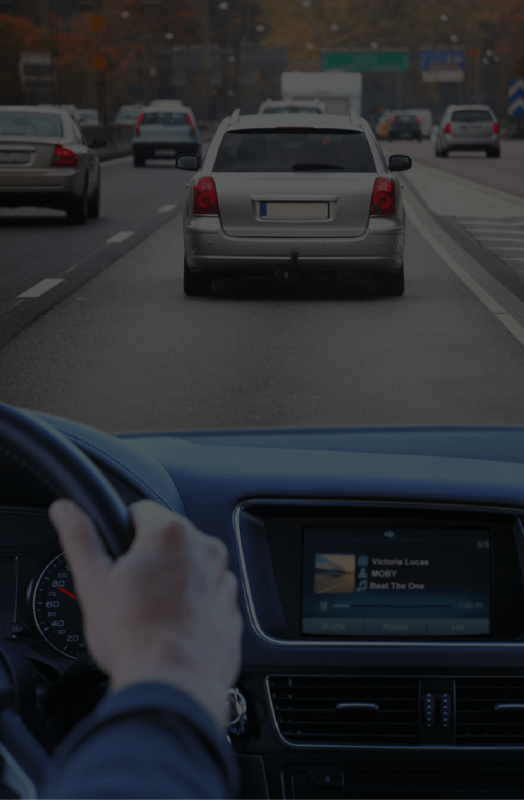 With our integrated Google Maps, Waze Maps, or other map applications, you can navigate to your destination with ease. 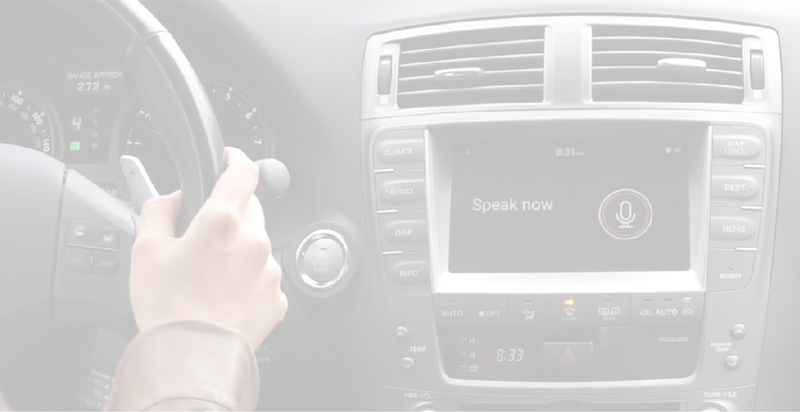 Use voice command to start navigation. You have full control over navigation and music search by the power of your voice. Simply press voice activation button and tell VLine where you would like to go. 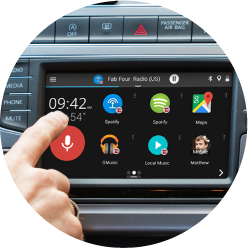 Full control of your music and navigation from your stereo touchscreen. 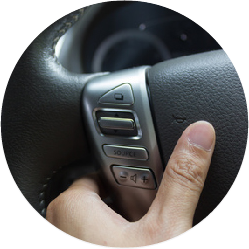 For cars with knobs, you can use the knob controls to operate VLine. 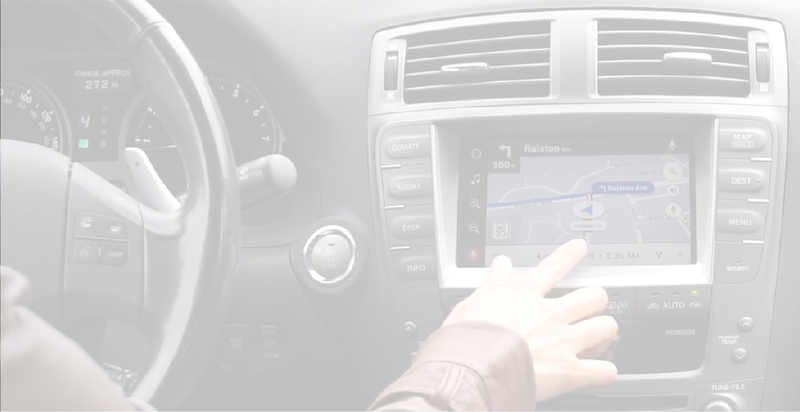 Steering wheel controls work with VLine and help you to skip tracks forward or back. Use USB Mobile Hot Spot to provide internet connectivity for your VLine. Many data providers offer "Data only" plans for monthly fee, check with your local data provider. As an alternative to Mobile Hot Spot you can tether your smartphone hotspot for dataplan. Check your phone settings and see how you can tether the data from your phone to VLine. 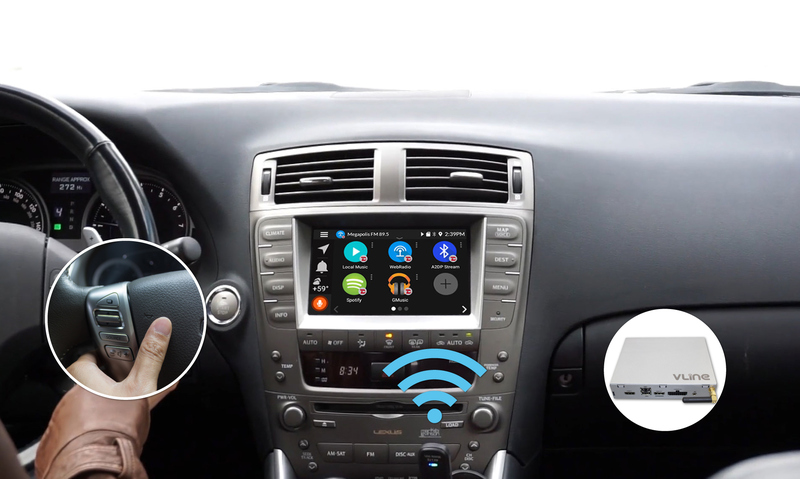 Connect directly to your smartphone via Bluetooth to stream music. "I'm enjoying the 'web radio' after I discovered a long dead radio station that I enjoyed exists on the web. I'm enjoying having Waze displayed on the navigation screen." "Overall, a very capable unit that is well worth the money. It reminds me of the Tesla giant iPad screen." 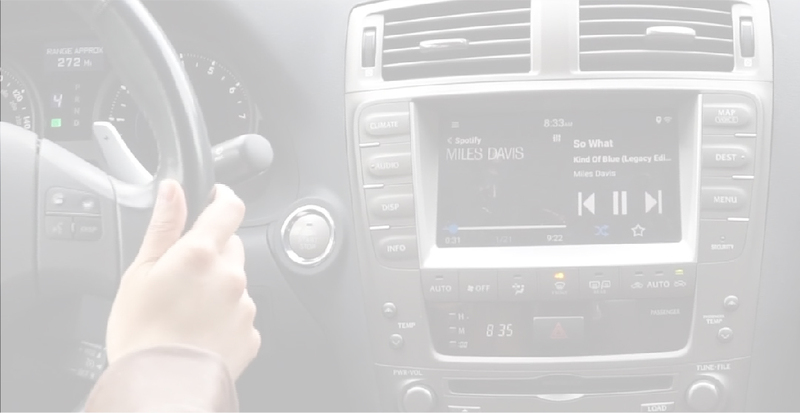 "Pretty cool how relevant the technology feels in my car once again." 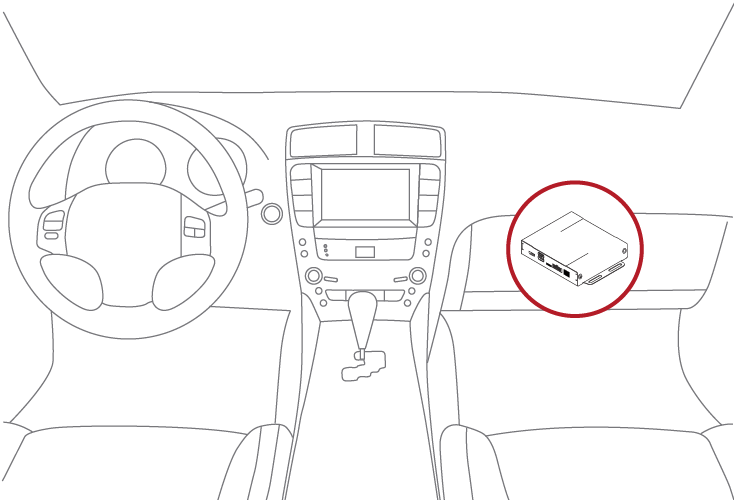 Will VLine Infotainment System fit with my current stereo? Please check ourcompatibility guidefor your car make, model and year fitment and limitations. 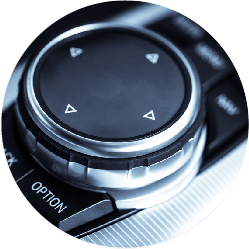 When VLine is installed, will I lose OEM functions - such as CD changer, steering wheel controls, or backup camera? No. You will be able to preserve all original functions. 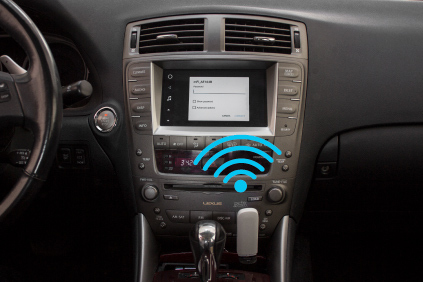 Your stereing wheels and car stereo controls, as well as backup camera will keep working. CD changer might have to be disconnected, as pertaining to certain VLine models. Please refer to individual models for details. I am an Apple iPhone user. Can I still use VLine? Yes. VLine is stand alone unit, and can be used without any phone. You can still connect your iPhone to VLine for Bluetooth music streaming. Will I need to connect the phone to VLine in order to use it? You do not have to connect your phone to VLine in order to use it. VLine is stand alone unit and does not require phone connection. 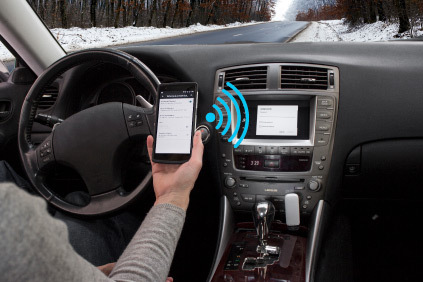 You will only need to connect your phone to VLine if you want to use Bluetooth music streaming. You might also use your phone as mobile hot spot to provide Internet connectivity to VLine. How do I provide internet connection for VLine? 1. Tether internet connectivity via your phone. Check your phone manual for this option. 2. Get LTE mobile hot spot and add internet plan to your phone data plan. Check your mobile carrier for that. TMobile is one of the carriers that offers stand alone data plans. What maps program do you recommend using with VLine? Google Maps will provide you with turn-by-turn directions and real time traffic. Waze is the other map program that we recommend to use with VLine. Can I download any offline maps to use on VLine? Yes you can download any offline maps to Micro SD card and connect it to VLine Micro SD port. Can I use voice search to find the music? Yes the voice search is enabled across all music plugins within VLine. For example you can press on "mic" icon within Spotify and it will ask you what are you looking for. You can say the name of artist, album or song, and it will show you available selections. What are other apps available with VLine? With VLine you have the access to many other mobile apps available at Google Play store. Can I pair my phone for wireless music streaming? Yes you can pair your phone to VLine for wireless music streaming.